not only treat disease, but to also restore health. poor diet or unhealthy habits—naturopathic physicians can nurture this process. cover up symptoms, they seek to find and treat the cause of these symptoms. 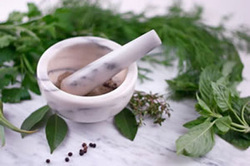 herbal extracts and homeopathy—with few or no side effects. fever to get dangerously high. in different ways and the naturopathic physician respects our differences. Prevent illness. "An ounce of prevention is worth a pound of cure"
has never been truer. Proactive medicine saves money, pain, misery and lives. likely to need treatment for future illness.